Hello Everyone! 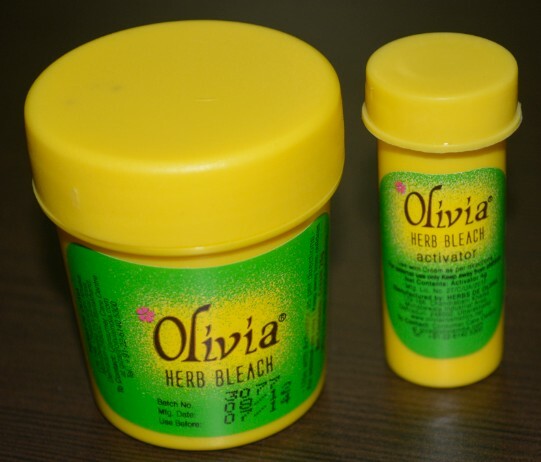 today I’ll be sharing my views on Herb Bleach Cream from Olivia. 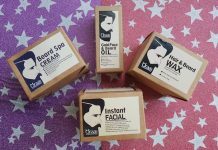 Since I have sensitive skin, I always opt for herbal products. I’m using this bleach cream for last 4-5 years and I must say it is one of the best bleach creams I had ever used. 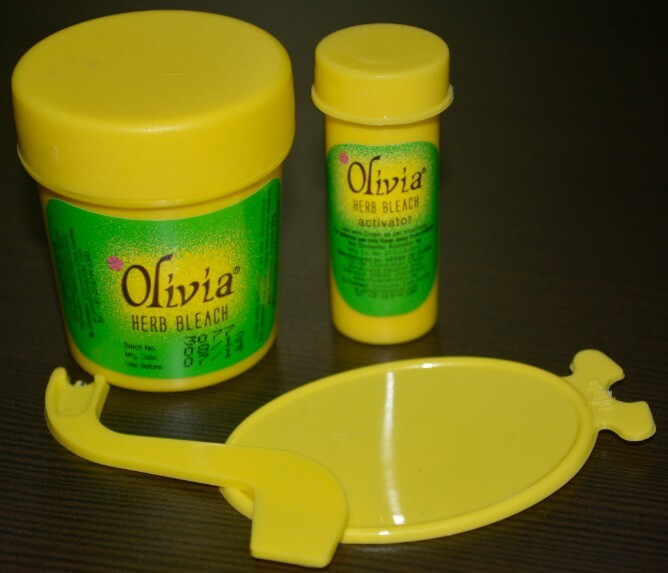 Packaging : This bleach cream comes in greenish box that contains two jars, (bigger one contains bleach cream while the smaller one contains activator), 1 tray for mixing bleach cream, 1 spatula for mixing and an instruction guide. 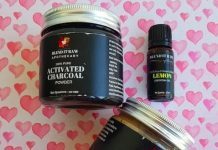 My Experience : As I have already mentioned that I’m using this product since ages, it is very beneficial for me. I have lots of ingrown facial hair and they are quite thick and look ugly, so I used to bleach my face & neck once in a month. This bleach provides complete coverage to my hair and fades them to match my skin tone. It gives you instant glow that is the amazing part of this bleach cream. I use to take a glass bowl to mix this bleach cream because the tray provided with pack is not enough to mix cream properly. 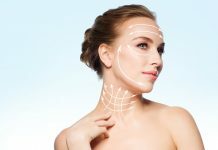 Take say 2 tsp of bleach cream, add 3 pinches of powder and I prefer to add 5-6 drops of rose water in the mixture to avoid discomfort while applying this mixture on my face. After washing & pat drying my face I tie up my hair and start applying mixture from the area where I have more hair like jawline then neck (Apply thick layer on areas where you have more hair). Cut 2 slices of cucumber, put on your eyes and rest under fan for 20 min and wash off. It slightly stings but that is totally fine for me, it do has strong smell but as compare to others I find it a bit mild. After washing my face I find my facial hair less visible and it evens out my skin tone and provides a nice glowing skin. Other thing that I like about this product is its natural ingredients. 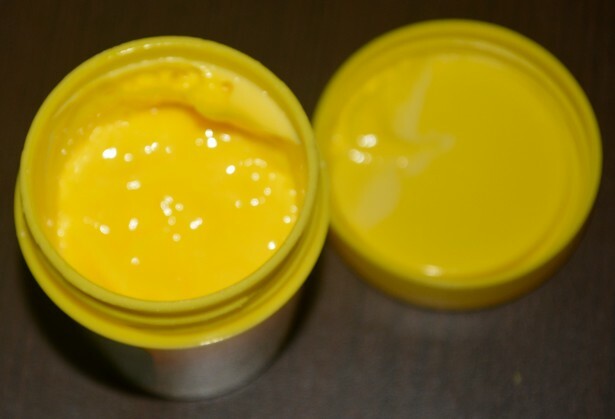 Also it is not very expensive and is very effective in reducing tanning and evens your skin. Two more variants are available – Olivia Hiz Aloe Bleach for men & Olivia Fairness Bleach. Claims : It nourishes your skin, protects it from Inflammation, gives a fair glow, suitable for use on face, arms, legs and body. Usage : Take appropriate amount of bleach cream and add 2-3 pinch of . Apply on your face & neck evenly, rinse after 15 min, pat dry and apply good moisturizer. You can use this bleach cream after every 15 days, but avoid using is it frequently, once in a month is good enough. This brand is very bad… It has an adverse effect my sister used it and after washing her face converted in black colour so , I wolud really say never use this product because its cheap it will give you bad look. Hey Sarita, I’v been using this bleach for 5-6 yrs and it didn’t cause any reaction on my skin. Also in the instructions it is mentioned to do a patch test. 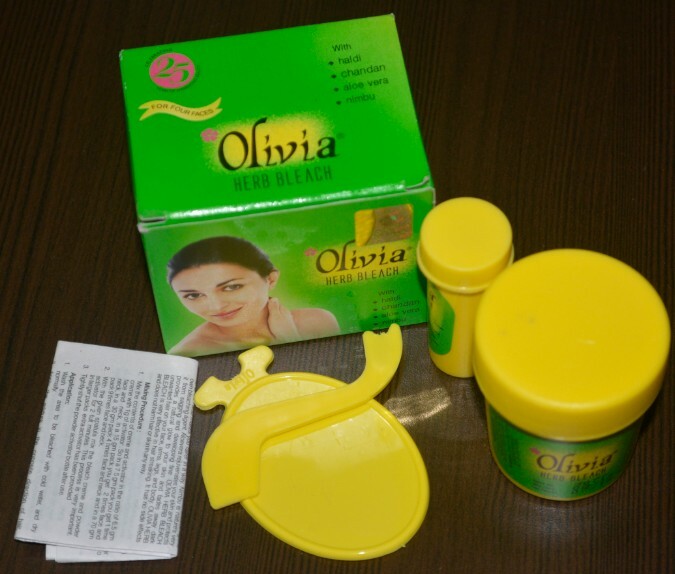 before applying it on your face. SO the people with sensitive skin should always try the patch test first before the usage. I also did a patch test which gave no glow so we went by applying on face which turned bad. I applied and I look all black now please help! I’v been using this bleach for 5-6 yrs and it didn’t cause any reaction on my face and full use for full body . Hey im from pietermaritzburg i need this bleach so badly where can i fnd it? Hi Jabu. Try any of the Indian shops in Pmb. I get mine from several different spice shops in the raisethorpe area. 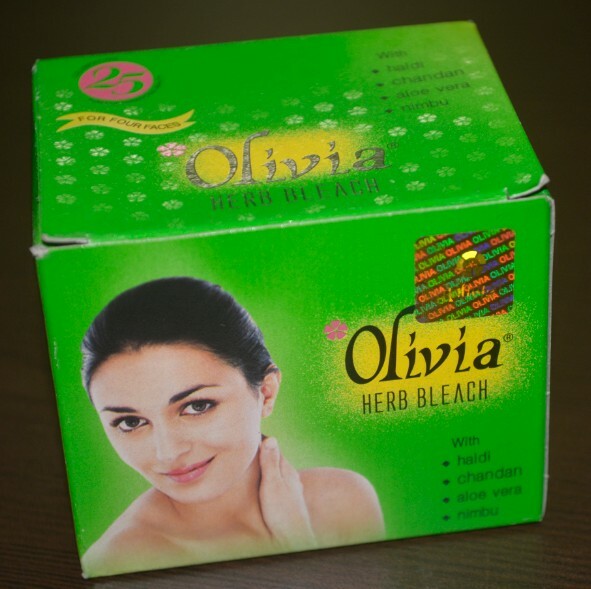 can I use Olivia herbal bleach to lighten red marks and post inflammatory hyper pigmentation?